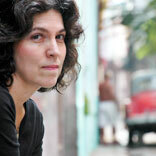 Achy Obejas, a Havana-born member of the In These Times Board of Editors, is the author of Ruins (Akashic 2009, akashicbooks.com) and Aguas & Otros Cuentos (Editorial Letras Cubanas, 2009). A former staff writer for the Chicago Tribune, she is also the translator, into Spanish, of Junot Diaz’s Pulitzer Prize-winning The Brief Wondrous Life of Oscar Wao (Riverhead 2008). She is currently the Distinguished Visiting Writer at Mills College, Oakland, Calif. Which Box Would Zimmerman Check?